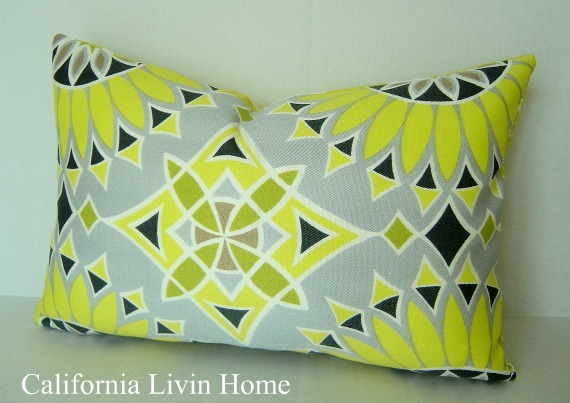 California Livin Home: Bring COLOR to your OUTDOOR space with PILLOWS! 2012 is flying by! It is already Easter weekend and before you know it school will be out and summer will not be far behind. I have a question for you…… How does your patio or porch look? A little blah, no color, or is all the color in your garden? 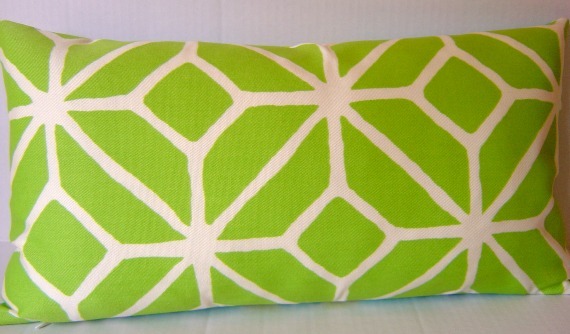 I have a solution, Pillows! 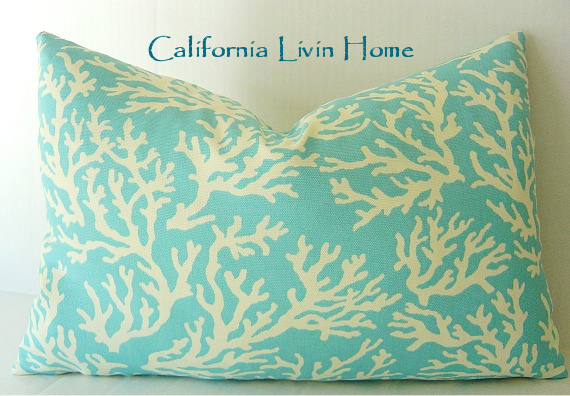 They not only add comfort to your outdoor space, they add COLOR! 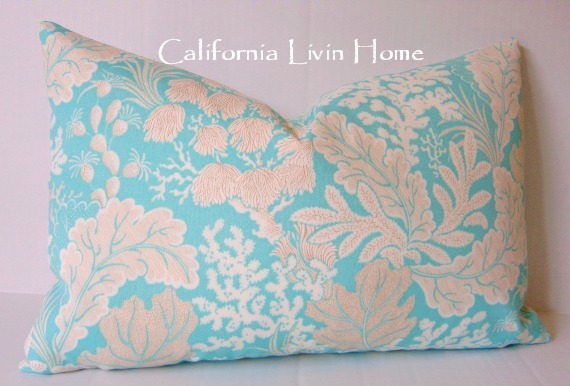 At California Livin Home I am known for my Indoor pillow covers. 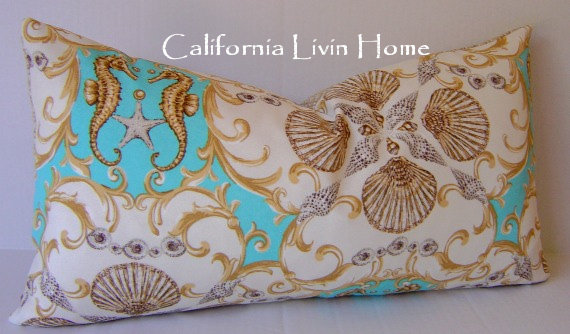 But did you know I also make Outdoor covers as well? Outdoor fabrics have come a long way since the seventies when all you could find was hunter green and brown, leaves or no leaves. 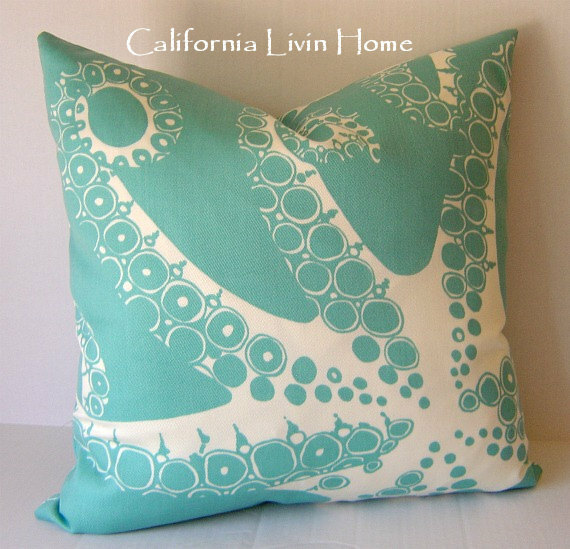 Outdoor fabrics now are more durable, come in a wide variety of patterns, colors and textures and make your outdoor space an extension of your indoor space giving you more entertaining possibilities. 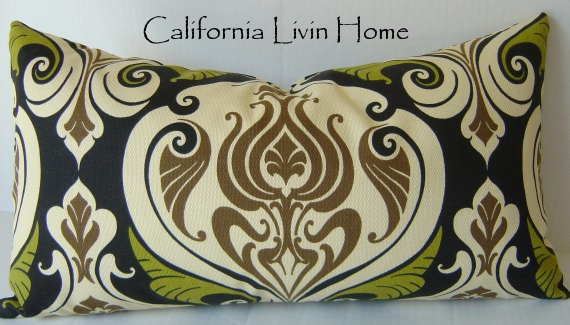 California Livin Home offers a wide variety of Bold and Bright to Cool and Coastal patterns . I take Custom Orders as well. 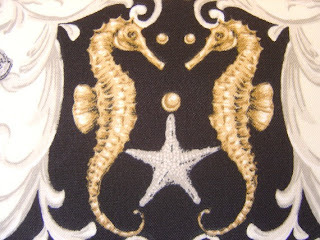 If I don’t have the fabric you are looking for, email me, I can special order fabric for you. 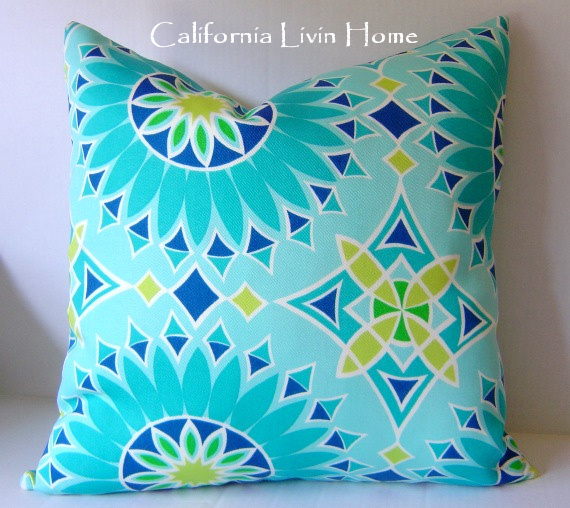 Whatever your style, Seaside Casual or Bold and Bright, California Livin Home on Etsy can add that much needed “color” to your patio this summer! 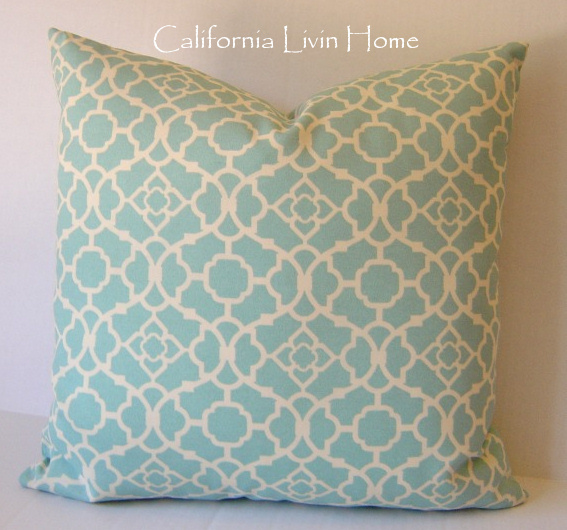 Available in Turquoise & Black!